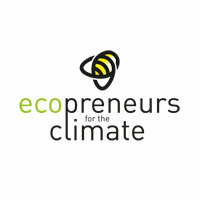 Ecopreneurs for the Climate is a nonprofit organization whose mission is to boost the creation and scale up the impact of cooperative, sound, and sustainable businesses that tackle climate change. To achieve it, these concrete objectives guide our path: to promote, connect, and empower climate-championing ecopreneurs; to strengthen local green economy ecosystems; to boost green business networks; and to implement the Paris Agreement and the UN Sustainable Development Goals. Our "glocal" community of climate practice materializes into a global network of climate innovation labs, where local leaders (“climate organizers”) catalyze multi-stakeholder co-creation by engaging ecopreneurs, civil society, and other key actors in the design of sustainable business solutions to climate-related challenges faced by cities, communities, companies, and organizations. Reinforce local green economy ecosystems to allow for viable business solutions that preserve the environment and empower communities. Boost green business creation to provide quality jobs, bring about opportunity, mitigate climate change, preserve cultural heritage, and enable democracy and peace. Facilitate the transfer and exchange of social and environmental innovation across Europe to spark creativity and cooperation, scale up sustainable impact, retain local talent and attract international one.